Testimonials Archives - Page 2 of 5 - Danielle Delaney Counseling, Inc.
As a psychotherapist in private practice specializing in recovery, I have been collaborating with Danielle for over 5 years. She is my go-to sober coach/companion/crisis management Counselor & Interventionist for clients in need of extra support. She possesses a unique skill set that combines being both supportive and motivational. I am grateful for her work with my clients and for the services she provides. The definition of a Counselor, according to Webster’s, is “one who gives advice and counseling…” a simple, to the point description. But to expand on that, while a person trained to give guidance on personal, social, or psychological issues is a uniquely qualified professional, it still takes a very special individual to rise above the definition and go far beyond what’s mandated. Dr. Danielle Delaney is that and much more. 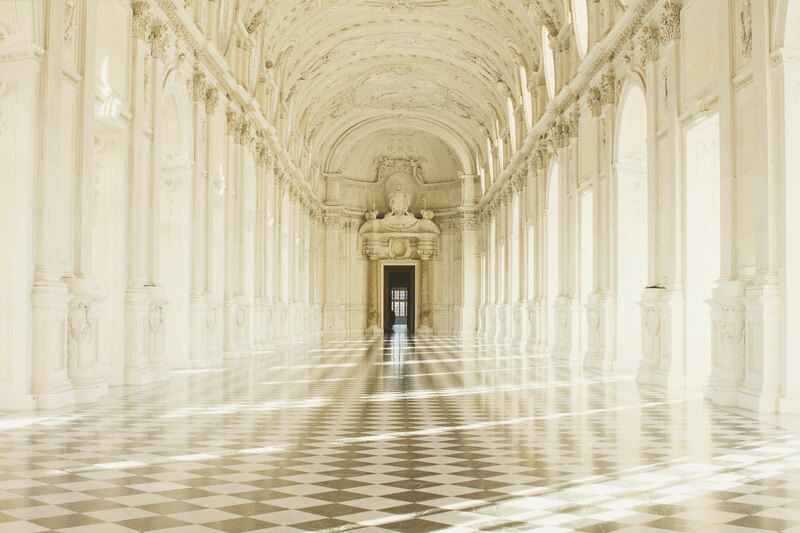 I’ve witnessed her tireless, determined, highly-skilled work as a knowledgeable professional for her clients… and personally… when I myself entered a nightmarish crisis that struck me to my core. She has not only been there to shine a bright and comforting light in a very dark place, but I thank her for being a lifeline to me in navigating my way through the chaos and fear. In addition to the excellent skills, knowledge and experience required in her industry, I’ve also been fortunate to watch her teach those she counsels in not only getting their lives back, but in maintaining balance and order. Inspires and provides the necessary bridge for those in crisis. My experience with being in treatment with Dr. Danielle Delaney has been lifesaving. She has come through when & where others are totally unavailable, and it is not for lack of work or that she has any sort of “extra” time — she is always on the go and she is under tremendous pressure, but she stops and MAKES the time when others don’t; and is clear, concise, and supportive when I need her. NEVER have I had a doctor or therapist/counselor on whom I could count to be so steady and so helpful to me at any hour of need in the manner that she has been. This unusual courtesy has been extended to my entire family. She has been a liaison to people in my life when we needed her desperately. I have looked to her guidance through untimely deaths of loved ones, several of my own health crises, and in emergencies. I can’t imagine how she manages to do it all and run her practice and her companies. She makes things beyond comfortable & I feel soothed and at ease in her presence, and because of the depth of her own personal experience with trauma, I feel more safely understood by her than by others, as well as in knowing that she is invested in my healing and clearly shows her care for me. She is well-trained and highly educated most certainly, but I find that her natural instincts with her patients as well are absolutely second to none. Dr. Danielle Delaney faithfully & repeatedly DAZZLED me & my family with her level of care. Whether rushing to my side during illness & hospitalization and taking charge, or taking a midnight family session, she has never made me feel like an inconvenience. Rather, I’ve felt nothing but honesty and deep respect emanating from her. I can say with sincerity I’d not be where I am in my life today if not for Danielle’s cautious care with me. 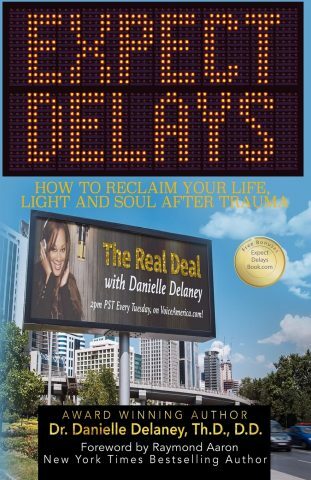 Her book “Expect Delays” about reclaiming your soul after trauma will help to heal and to save so many from harm. I have no doubt that Danielle’s star will continue to rise and to brightly shine. Consider yourself extremely lucky if you are holding her book in your hands. I have had the pleasure of knowing Danielle Delaney for over 18 years now. We originally connected through our passion for philanthropy and animal causes. Over the years we have worked together on a multitude of various charities, benefits & productions. I have always had the utmost respect for Danielle’s work ethic & unwavering determination. Not only does Danielle have a heart of gold for helping others, she is also highly intelligent, quick-witted, organized, charismatic and she also happens to be one of the funniest people that I have ever met. There is not a subject in the world to which she isn’t able to bring some kind of substantial expertise. Danielle has been a huge support to me through many situations. She is such a rare human being — because when she is working with you, it’s like having your own encyclopedia, dictionary & thesaurus all in one! When you combine her compassion, leadership skills, extensive knowledge & her continuous drive to help others – she is just truly a force of nature, and a force of nature that I am so proud, fortunate & honored to call my friend!